Nestled between DuPont, Lakewood and Joint Base Lewis McChord, this small (population <6,000 2010 Census) Puget Sound waterfront town has all the charm you would expect from a town incorporated in 1854! Steilacoom is the oldest settlement in Washington and it's historic buildings still standing provide a small, seaside town look and feel. With it's proximity to Joint Base Lewis McChord, it has become a bedroom community for many of our armed forced stationed there. It's a very walkable town that hosts a number of events during the year, boasts a park, a Ferry ride to the nearest island and a super quaint / charming community. It has four individual buildings and sites listed on the National Register of Historic Places, including the oldest Catholic Church in the state and the first Protestant Church north of the Columbia River, as well as the Steilacoom Historic District, with 68 contributing properties. Steilacoom is about 15 minutes from Interstate 5 (via the city of DuPont, WA). DuPont is another bedroom community that houses many of our armed forces and their families. Learn more about DuPont, WA. Steilacoom is about 10 minutes from Lakewood and the nearest large grocery store. Steilacoom boasts many small businesses itself. One of which is a small market called Fresh Picked Foods that prides itself on sourcing its produce, meat and dairy from small, local, organic, mostly family owned farms. When you stop by, you'll feel like family. There are many restaurants in and near Steilacoom, but my favorite are De la Terre (farm to table, small menu, great drinks), the historic Bair Restaurant (even though the wait is long, the food is worth it) and the Coffee Cabin next to the Fresh Picked Foods. The Steilacoom Pub & Grille has some pretty good bar food as well as the best tomato soup - served on Thursdays! Topside Bar & Grille is great for drinks and appetizers on a sunny day! All restaurants here. You can do nothing in Steilacoom but just look at the picturesque view of the Puget Sound and Olympic and be completely happy. Summer is unbeatable in this area. The sunsets every night are literally a spectacular sight to see - with every one of them like a fingerprint (completely unique). Summer wouldn't be complete without the weekly Farmer's Market every Wednesday! After the market closes, they finish off with a concert in the park overlooking the Puget Sound and the Olympics in the backdrop. Kayaking is fun off of Sunnyside Beach. If you don't have your own kayak, rent one from NW Sup Kayak Rental on the beach at Sunnyside. There is biking and hiking on nearby trails or drinking and having fun with friends at the local pubs and eateries (noted above)! Lastly, there is no shortage of golfing nearby: home of the 2015 U.S. Open Chambers Bay Golf Course is 10 minutes away. The DuPont, the Home Course is 17 minutes away. And the Oakbrook Golf Club is about 15 minutes away in Oakbrook, Lakewood. Steilacoom is a part of the Steilacoom Historical School District. 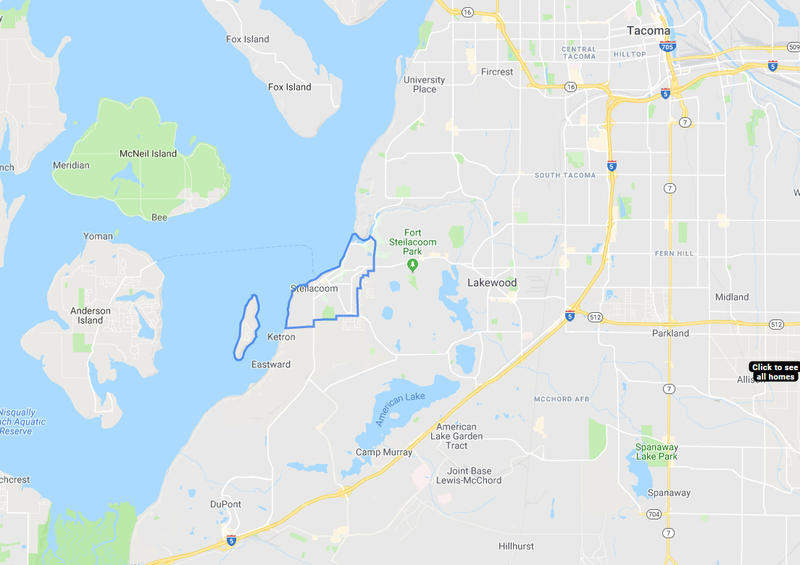 It has 4 elementary schools, one middle school (Pioneer Middle School in DuPont) and one high school (Steilacoom High School in Steilacoom) in it's district. Check out their website here. Check out their grade on GreatSchools.org. If you are considering moving to or from Steilacoom, you've come to the right place! 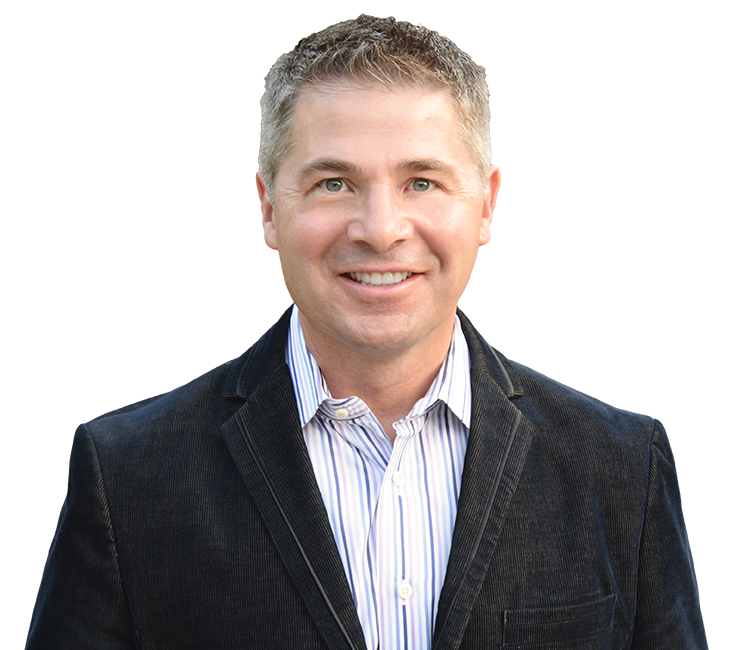 Check out this instant market report for Steilacoom and get a free instant property valuation. Check out these quick pre-configured searches or do a create a custom search yourself! Save you search criteria and get instant updates when a property is added that matches your desired search criteria! Listing courtesy of All County Evergreen Prop Mgmt. 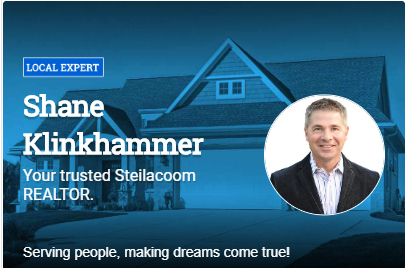 Let's get started buying or selling Steilacoom!